A new piece of legislation that will pave the way for small-scale DAB to become a permanent fixture in UK broadcasting has received cross-party support. The Broadcasting (Radio Multiplex Services) Bill will allow the ten trials taking place in the UK to remain on-air and facilitate the creation of additional small-scale multiplexes. 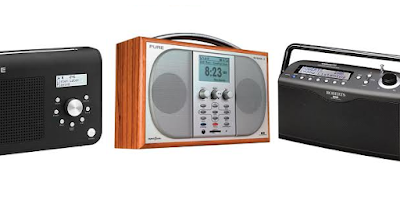 Small-scale DAB is seen as a cheaper way of distributing radio stations, particularly community stations across a much smaller area than traditional local DAB multiplexes. The bill was given its first reading in the House of Commons on Friday, when Culture minister Matthew Hancock confirmed that the government hopes to have the bill made law before the current trials of small-scale DAB come to an end, thus allowing those new stations to continue broadcasting. The shadow sports minister Rosena Allin-Khan confirmed cross-party support for the bill, saying it would "indeed provide a cost-effective way forward" for community radio stations. Only a few community stations have been able to join regular local DAB multiplexes thus far, often deterred by fees in the region of £60,000 a year for a mono service, according to figures quoted by Mid-Derbyshire MP Pauline Latham. Erewash MP Maggie Throup highlighted that existing community stations, such as her local Erewash Sound, are restricted to low power FM broadcasts that are subject to interference from adjacent high power stations. High Peak MP Andrew Bingham noted the bill would allow stations such as his local, High Peak Radio, the chance to move "in to the digital zone." The bill, introduced to Parliament by Torbay MP Kevin Foster, would create a power for the secretary of state to modify Part 2 of the Broadcasting Act 1996 and Part 3 of the Communications Act 2003, creating a new licensing regime suitable for the new small-scale DAB multiplexes. The bill will now pass on to the committee stage. Existing trials were deemed a success by Ofcom last year, who initially allowed ten small-scale DAB multiplexes in locations including Glasgow, Manchester and Portsmouth to launch as part of a nine-month trial in 2015. Following their success, the trial multiplexes were given an extension, but require longer term changes to the law to allow them to stay on air. The trial multiplexes have been successful in not just carrying community stations, but also striking carriage deals with new, niche and internet stations to provide an alternative to existing mainstream stations. In turn the carriage fees contribute towards the running costs for the multiplexes. The small-scale trials have also been at the forefront of driving the new DAB+ standard ahead of traditional digital radio operators, alongside additional features such as 'slide show', providing additional graphics on compatible DAB radios.